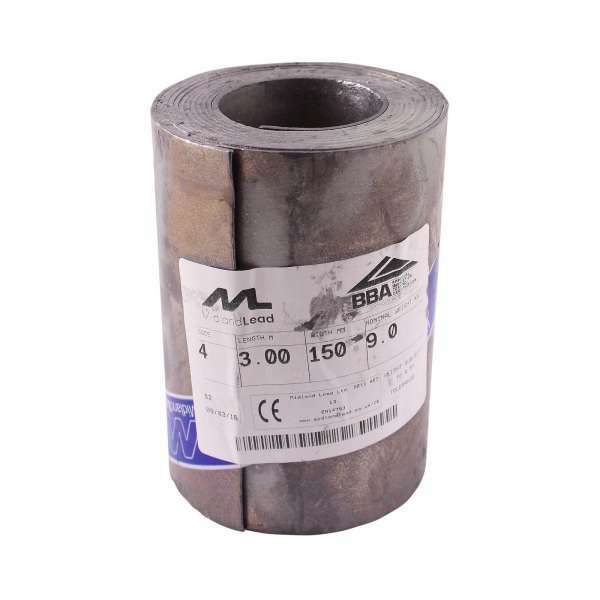 Product information "150mm (6") Lead Flashing Roll (Code 4)"
150mm (6") wide roll of durable 1.8mm thick Code 4 lead from the industry leader. Perfect for a wide range of heavier roofing projects. Code 4 lead is commonly used for applications such as vertical cladding, hip and ridge flashing, box and valley gutters, bay tops and canopies, apron and cover flashings, chimney flashings and more. Lead is a highly durable natural material that can last over 100 years; much longer than other natural and synthetic alternatives. Saves money and create less wastage by ordering by the 1/2 metre! In accordance with EN Code Weights, Code 4 is rolled out to 1.8mm thickness (+/- 5% tolerance) to give a weight of 20.4Kg per square metre. Related links to "150mm (6") Lead Flashing Roll (Code 4)"
Customer review for "150mm (6") Lead Flashing Roll (Code 4)"